Craig T. Leong, CPA - Loveridge Hunt & Co.
Craig (“Craig T”) has over 14 years of accounting and tax experience. He joined our firm in 2010. Prior to that, he worked at a local CPA firm in Hawaii for 7 plus years. In 2007, he traded his surf board for an umbrella and moved to Seattle where he worked as a tax senior of a private family owned company involved with high net-worth individuals and commercial real estate property. He is our tax manager with experience in tax issues involving corporations, partnerships, tax-exempt entities, trusts, individuals and multi-state taxation. 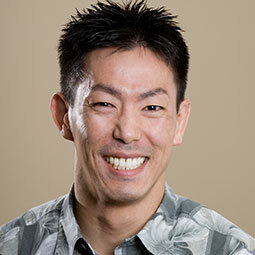 Craig T received his Bachelors of Arts in Accounting at the University of Hawaii at Manoa in 2000. Craig T enjoys mastering mixed martial arts with an emphasis in wrestling and Brazilian Jiu-jitsu. He feels fortunate and lucky to still be able to compete at national competitions. He also enjoys many outdoor activities (e.g., fishing, camping, hiking, snowboarding).